Taking the mound at Cleveland Stadium in September 1991, Vince Horsman tried to keep himself calm. This was Horsman's major league debut, after seven seasons spent in the minors, so a few nerves might be expected. "I was nervous," Horsman confirmed to The Greatest 21 Days. "But once I got to the mount, it's just baseball. I kept telling myself, 'it's just baseball' and ended up having a good outing." Horsman kept those nerves under wraps, Coming in for Jimmy Key late, Horsman struck out the first two batters he faced and set down the other two without giving up a hit. For Horsman, though, he saw the big test as his next one. In his next outing, the newly minted Toronto Blue Jay and native of the Canadian province of Nova Scotia would appear at Toronto's SkyDome. "I knew back home everybody was watching where I grew up, so I felt like a lot of eyes were one me," Horsman recalled of that follow-up outing where he went another inning and gave up a single walk. "Somehow, I got through it, but that was probably the most nervous I've ever been." Horsman made the majors that September after seven seasons spent in the minors. He went on to play in a total of five big league campaigns and serve as a regular with the Athletics for three. 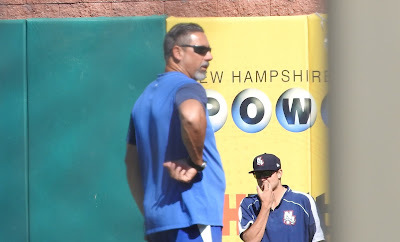 Horsman recounted his career to The Greatest 21 Days at the close of the 2016 season at AA New Hampshire, where Horsman served as pitching coach. He continues in that role for 2017. Horsman got his call to the majors that year after spending the season at AA Knoxville. He recalled his pitching coach called him into the office. The coach needed to talk. He then ran into some unusual difficulties, he recalled. "I went down there and he said 'Congratulations, you're going to the big leagues," Horsman said. "It was crazy. I tried to call my mom, but she already found out before I got a chance to tell her because it had already been released. "Then I tried to call my wife, but her mother told her," Horsman continued. "So I never really had the chance to tell anybody the big news." His reaction to the news? "It was just all the hard work that you put in," Horsman said. "The time, the effort, it really - it's an awesome feeling." Horsman got into a total of four games for the Blue Jays, four innings of work. He gave up two hits, but no runs. He returned for spring 1992, but the Athletics selected him off waivers and added him to their bullpen. Horsman recalled thinking of the change in teams as an opportunity. With the Blue Jays, he knew he was fifth on the depth chart for left handers. With the Athletics, he knew he had a shot to make the team. Horsman not only made the team, but he got into 58 total games in relief. In his fourth game of the year, he earned his first and only major league save. Horsman got that save by coming on with two out in the seventh against the Royals. He then finished the game as his Athletics pushed a two-run lead to four. Horsman gave up two singles in successive innings and turned both into double plays. He then ended the game by striking out future Hall of Famer George Brett. "Striking out George Brett to end it, that was a pretty surreal moment," Horsman recalled. "I remember watching George Brett back in the 80s on television when he hit the home run off Gossage, the pine tar one. So to be able to face him, was just really cool. I still have that on VHS." Horsman returned to the Athletics for another 40 games in 1992 and 33 games in 1994. "It was just great," Horsman recalled. "I soaked it all in. It was just a great experience, just life-changing experiences. Fulfilling your dream, doing what you love to do." Horsman returned for a final six appearances with the Twins in 1995. 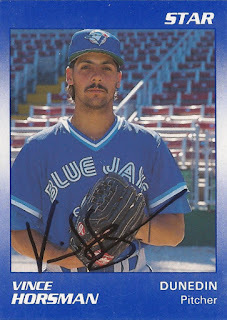 He then played 1996 at AAA with the Blue Jays. He signed with the Orioles in 1998. He got six outings at AAA Rochester, ending his playing career. He knew he couldn't do it anymore. His arm hurt and he couldn't throw the same. 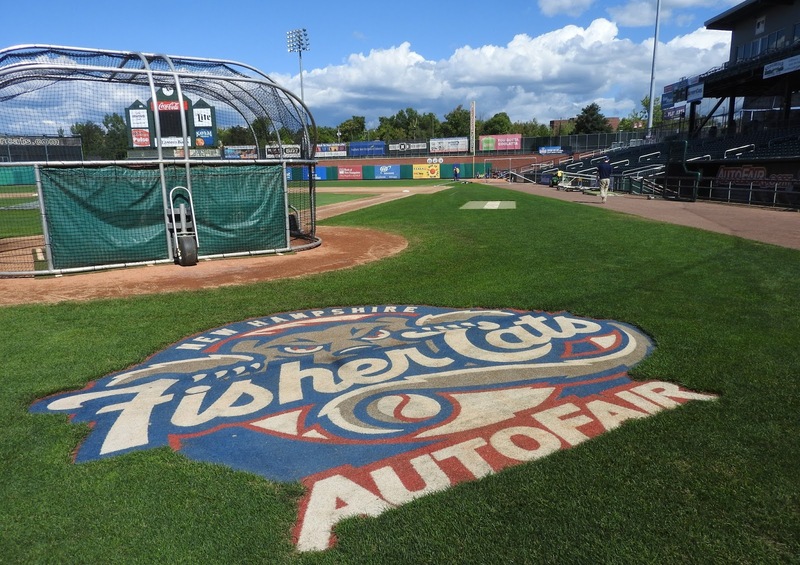 "I didn't want to just hang around in AAA," Horsman said. "When I realized that I couldn't pitch in the big leagues anymore I just didn't want to play." He then quickly started his coaching career. The Orioles released him and called him the next day with a job offer. Initially, he didn't want to take it. But he soon took it. He eventually joined the Blue Jays, serving at rookie Pulaski in 2006 and short-season Auburn in 2009. He spent four seasons at single-A Lansing and is in his second season in 2017 at New Hampshire. Along the way, he's coached Aaron Sanchez, Matt Boyd and Noah Syndergaard. "My philosophy in coaching is to treat everybody the way I wanted to be treated," Horsman said, "and I'm very transparent." He can't tell everything, but he tells what he can. "I think I've earned the respect over the years of those guys," Horsman said, "knowing that you might not like what I say, but at least you know you're going to get an honest voice."